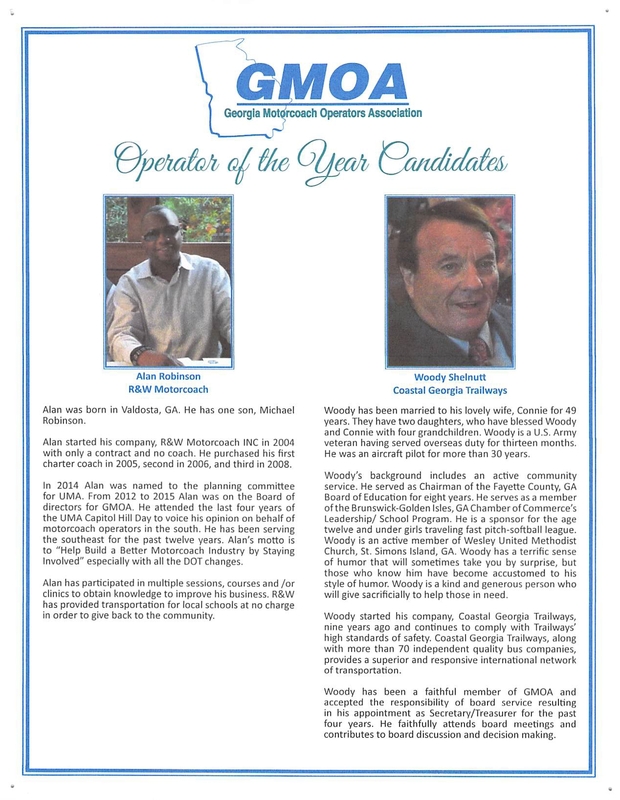 Congratulations to Woody Shelnutt, president of Coastal Georgia Trailways, based in St. Simon/Brunswick, Georgia, on his State Bus Operator of the Year award from the Georgia Motorcoach Operators Association (GMOA). 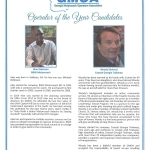 He has served as Secretary/Treasurer on the board of GMOA since 2012. He founded his diverse travel company in 2007 on St. Simon Island, the Golden Isles. 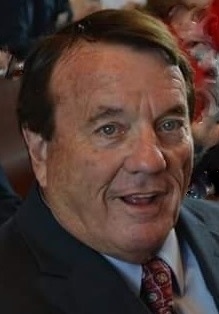 He applied for and was admitted into the Trailways Transportation System brand, becoming Coastal Georgia Trailways, in 2013, one of only three in the state. He offers other local tourism, sightseeing and marina services as well on St. Simon. “We are proud of Woody for his accomplishments over the years in building his successful company and for his outstanding support of Trailways,” said Ron Moore, Chairman of Trailways. Trailways is composed of 65+ bus & coach companies in the US, and parts of Canada and Europe, with 10,000 vehicles serving thousands of charter groups and scheduled route locations. The other Trailways companies in Georgia are Capital Trailways (Columbus) and Samson Trailways (Atlanta). The 2019 Trailways Annual Meeting takes place March 10-13, 2019 on Galveston Island, Texas, at the Moody Gardens Resort & Spa. Galveston Island is approximately 35-45 minutes south of Houston, Texas. 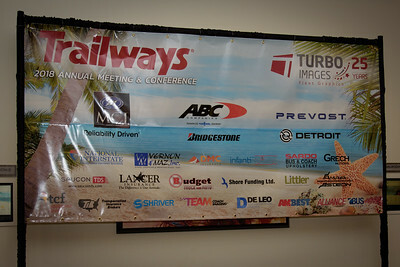 Sponsors are promoted throughout the meeting dates. 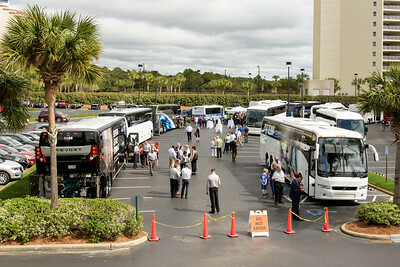 Outdoor Exhibits with buses and equipment. 2018 Affiliated Partners ready for the indoor tradeshow. “Wear Red Day”is a tradition at the Trailways Annual Meeting. See more 2018 Photos & Award winners online. Trailways offers one of the bus and motorcoach industry’s most prestigious partnership programs for suppliers and travel partners. Partners are vital to the success of Trailways. Partners have direct access to Trailways company owners and other top decision makers. The opportunity to attend and exhibit at the Annual Meeting (Feb- March timeframe). For Partners, the meeting includes a table-top Indoor Exhibitor Tradeshow, Outdoor Bus/Equipment Luncheon and many networking opportunities such as social outings, business meetings and education sessions open to Affiliates. 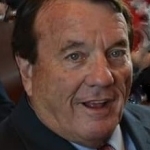 Listing in the printed Roster with Profile. In order to be invited to attend, all supplier companies must be an Affiliated Partner or Preferred Partner in good standing. The Membership Application is above. Trailways Annual Meeting: The 2019 Trailways Annual Meeting takes place March 10-13, 2019 at the Moody Gardens Resort, Galveston, TX. Join us! Please contact Diane Walden in Business Development. Email Ditrails@trailways.com, or call 703-897-4414 or 703-362-8438, or please call the Trailways corporate office: 703-691-3052 x 3 or Email bustrails@trailways.com.